Although it has been a continuously growing market sector over the past decade, the real estate market in UAE and the all of the Gulf Cooperation Council (GCC) countries has been facing an uneasy downturn in the last couple of years. 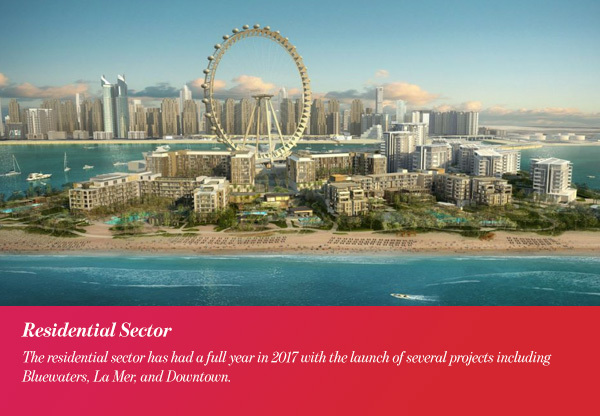 Experts speculate that this downturn has been caused partially by the ongoing geopolitical instability of the GCC region and partially by the laws of supply and demand; that is, there has been a growing supply of off-the-plan projects. This supply, however, was not met by an equal demand, which caused the market revenues and, eventually, the price norms to be reduced. Needless to say, the real estate market in UAE – especially in Dubai which is considered the biggest investment and tourism attraction in the GCC – has been of special interest for the regional and international investors not only because of its prominence and reputation as the best real estate market in the region, but also because of how quickly it has bounced back from this downturn during the last year. Why the real estate market in UAE is predicted to strengthen over the upcoming decade? The United Arab Emirates was one of the first countries in the GCC region to seek diversification of its economic resources through developing and capitalizing on all of its non-oil industries and sectors. The purpose of this ongoing strategy is to shift the country’s dependence on crude oil to boost its economy and help the UAE through the transitional phase to the post-oil era. The results of this strategy are mostly reflected in the development of Dubai and how it has turned over the years into a global business and entertainment hub. This helped in alleviating the effects of the significant downturn that the oil industry endured on the country’s economy. 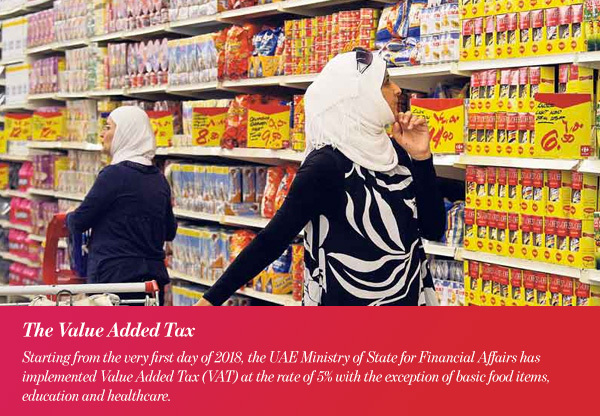 Starting from the very first day of 2018, the UAE Ministry of State for Financial Affairs has levied Value Added Tax (VAT) at the rate of 5% with the exception of basic food items, education and healthcare. While this will give the UAE economy a considerable boost, there have been some speculations that the VAT implementation will negatively impact the investments in the country as a side-effect. However, the government of the UAE is taking a lot of measures in order to counter this downside of the VAT implementation such as the VAT recovery mechanism for businesses, exceptions for some business sectors and the fact that the rate at which the VAT has been levied (5%) is significantly lower than the global norm (15%). To be more specific, when it comes to the effect of VAT on real estate in UAE, both the sale and lease of commercial properties will be subject to the new tax while the sale and lease of the residential properties will be exempt. This is probably the greatest current motivator of the real estate market in UAE. 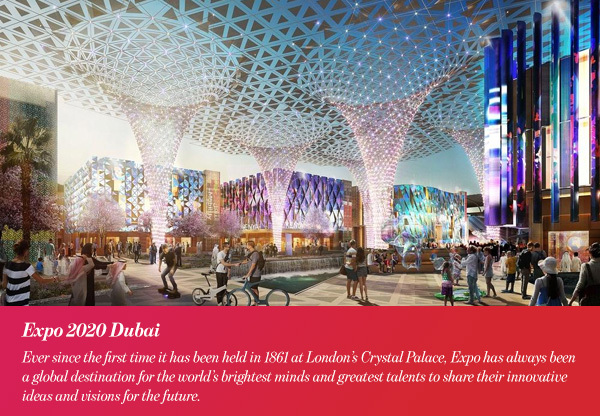 Ever since the first time it had been held in 1861 at London’s Crystal Palace, Expo has always been a global destination for the world’s brightest minds and greatest talents to share their innovative ideas and visions for the future. The promising mega event which Dubai will host in 2020 is highly anticipated with its theme being “Connecting Minds, Creating the Future.” Dubai’s bid to host Expo 2020 has reached more than 800 million people through social media channels, leading it to surpass its contenders and secure a landslide victory to get chosen as the event’s host. The event’s strong marketing campaign and the ongoing preparations earned it worldwide attention; thus, it is predicted to be a pivotal point in Dubai’s recent history that will shift its economic landscape permanently. The residential sector has had a full year in 2017 with the launch of several projects including Bluewaters, La Mer, and Downtown. However, the last year has been all but challenging for the sector and it is predicted to face similar hardships during the current year. As per a recent report issued by Cluttons, the values of residential properties are predicted to decline by 3% to 5% by the end of the current year. The performance of the rental market, on the other hand, is expected to follow suit. That being said, the ongoing downturn of the prices have the potential to decelerate and eventually bottom out during the second half of 2018 due to the predicted effect of Expo 2020 Dubai. Unlike the residential sector, the commercial sector has been more capable of maintaining its stability through the downturn of the real estate market in UAE. This is mainly due to the growing economic diversity of UAE. However, there is an upside risk which the commercial sector might be tested against and that is the impact of Expo 2020 Dubai. The mega event is likely to create significantly larger demand for office space as companies expand their businesses or even set up their first office to contribute to the multiple construction and development projects needed as the year 2020 and the mega event draw near. 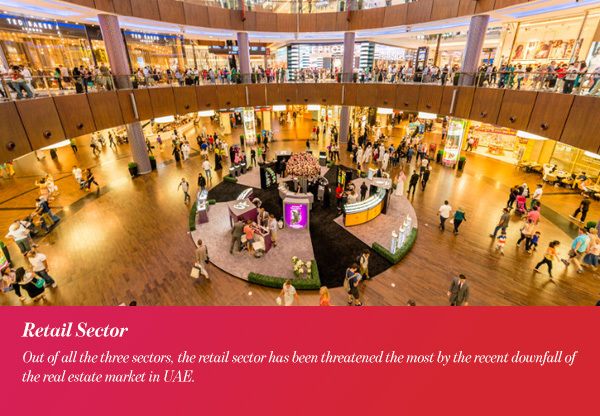 Out of all the three sectors, the retail sector has been threatened the most by the recent downfall of the real estate market in UAE. This is partially due to the weakening macroeconomic conditions, but there was also another factor: the rise of electronic commerce services. According to Frank Knight’s issued report on the predicted outlook for the real estate market in UAE, the acquisition of Souq by Amazon, the World’s leading internet retailer along with the rise of other e-commerce companies has been a tough challenge for the retail sector. This threat, however, has been countered by the retail stores in the form of multiple super sale promotions as well as some external factors like the weakened US dollar and the UAE’s growing tourism industry. The sector is predicted to remain resilient throughout 2018, and the expectations appear to be fairly optimistic, especially for the retail stores that are situated within crowded developed communities. To summarize, the real estate market in UAE is expected to recover from the downturn sooner than the other GCC countries, albeit at a rate that is a little bit slow. United Arab Emirates will probably continue to be the region’s leading tourist and investment attraction.